After working for about three years with Forrest we finally meet him on a meet up of The Grid team. 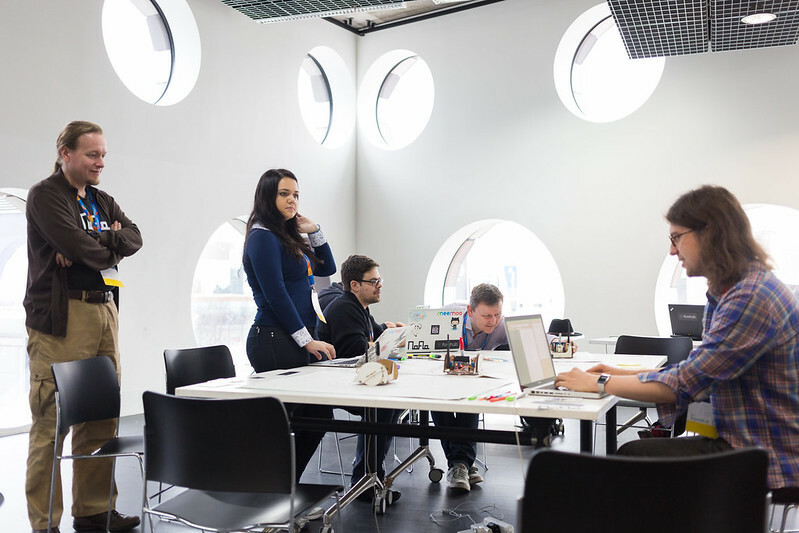 During the first days we were preparing a workshop for MozFest’s #ArtOfWeb track. 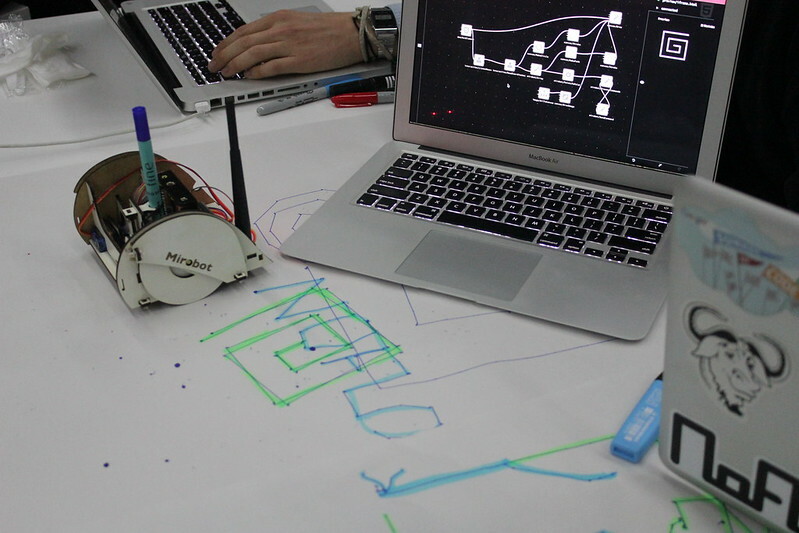 The idea was to present a quick introduction to Flowhub/NoFlo and how to use it to draw with Mirobot. Then we would let people create their own drawings. 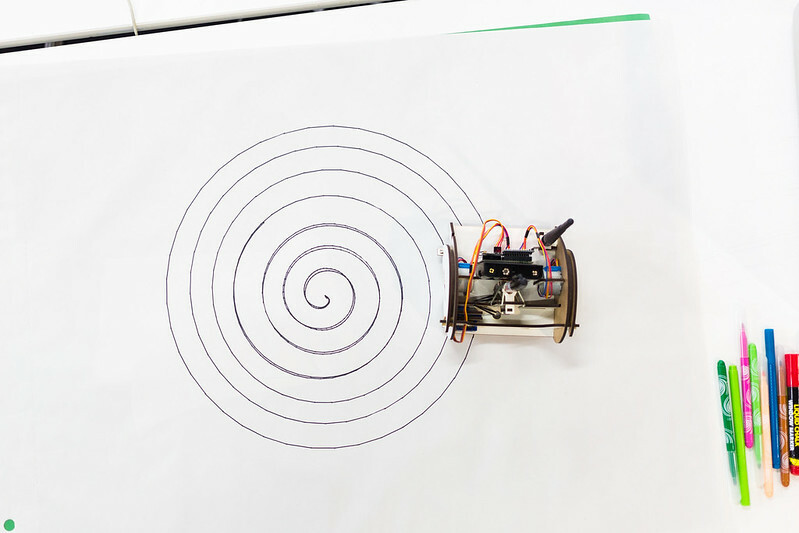 Having the robot represented as a component made it easier to even explain to people how it was drawing: “the SendCommand component waits for commands — like go forward or turn left — so when it receives a new command, it sends it to the robot. 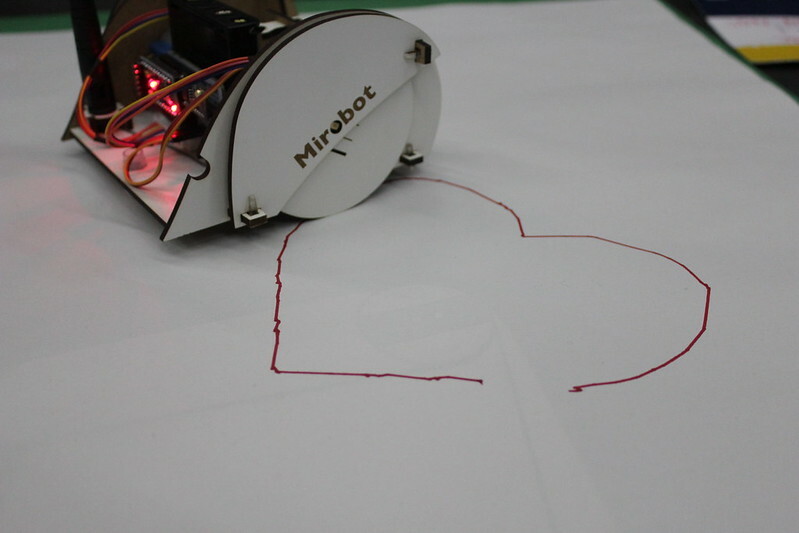 When the robot finishes drawing, it signalizes banging the completed port, so we are good for the next command”. The meetup with The Grid was incredible. We met Forrest, Jon Nordby and Henri Bergius. Lionel Landwerlin joined us some days later. Those guys never stopped coding and inspiring us. 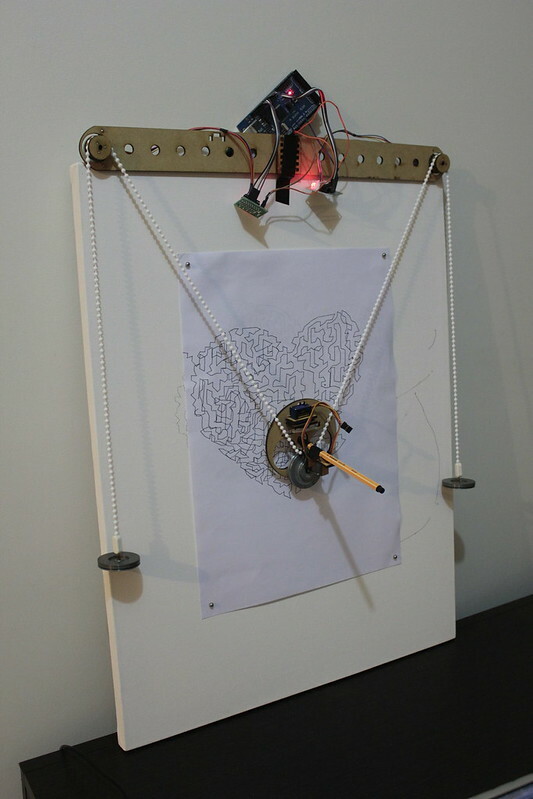 While preparing the workshop we built a hack to Mirobot, making it possible to draw on walls. 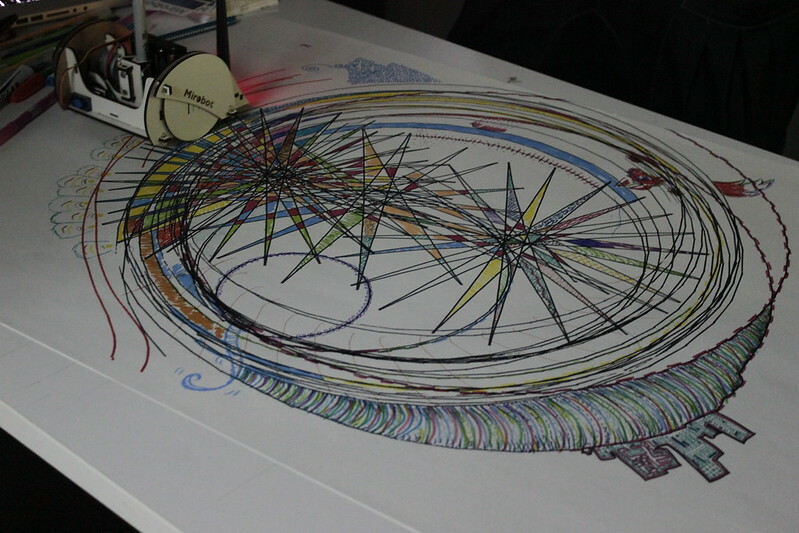 That’s a work-in-progress and we are planning to keep improving and documenting the process. MozFest was fantastic. We met Kat, Eric, Paula, Michelle, Allison, Ginger, Ricardo and all the other incredible “art phreaks” of the #ArtOfWeb track. Ben Pirt, the Mirobot’s creator, joined us in the art gallery and brought us his bots and kindness. ArtOfWeb was a refuge during the chaotic creative tornado of MozFest. A place to chat, create and relax listening to good music and enjoying art installations. Our session did its job. 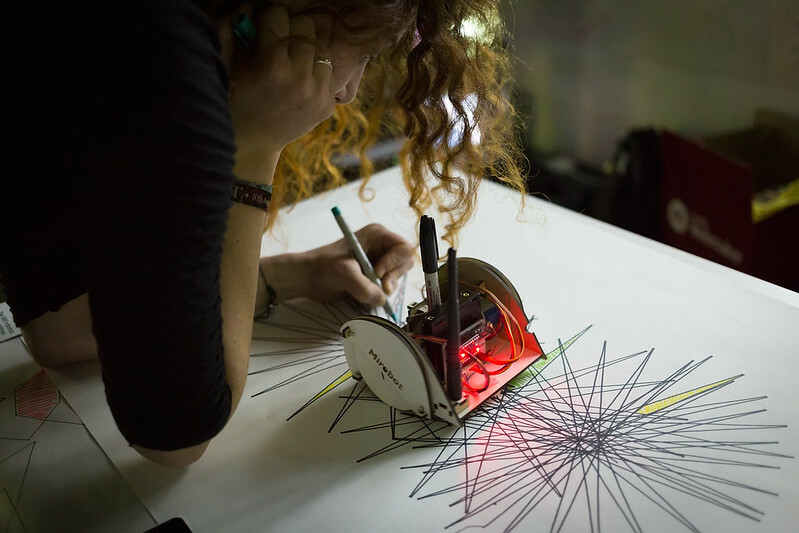 We had people curious about the drawing robot, nice discussions about procedural vs flow-based programming and really nice collaborative drawings. Henri recorded the following time-lapse video. A really nice way to capture this kind of session. The festival ended up with a demo party where the most revealing feeling of collaboration and aesthetics experimentation took its place. 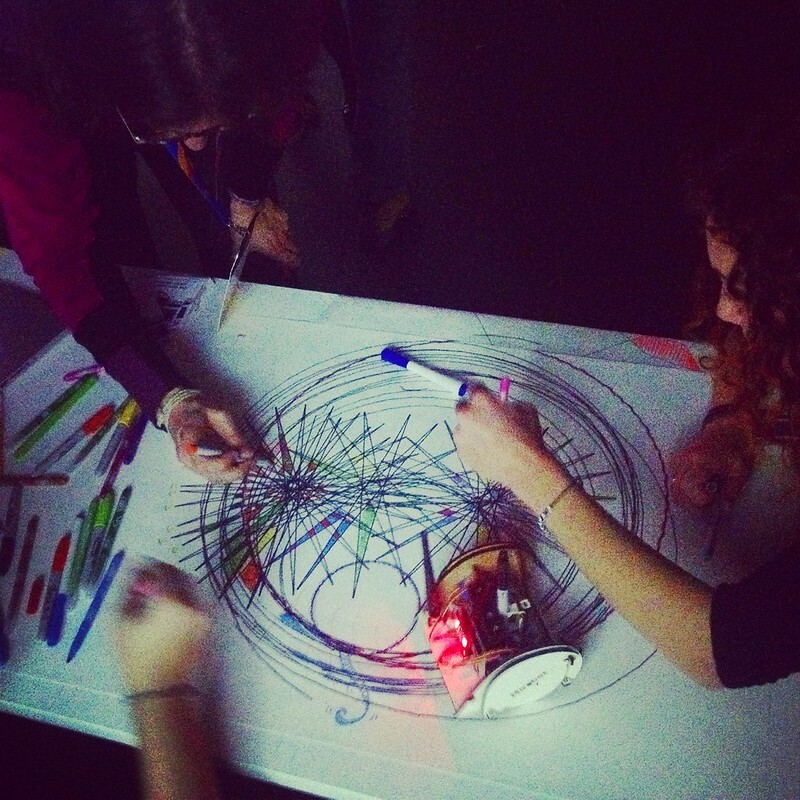 Surrounded by curtains, music and projections, people and robots joined again to draw together. We hope the next workshops are like this last experience and we’ll try to make it happen more in the future. 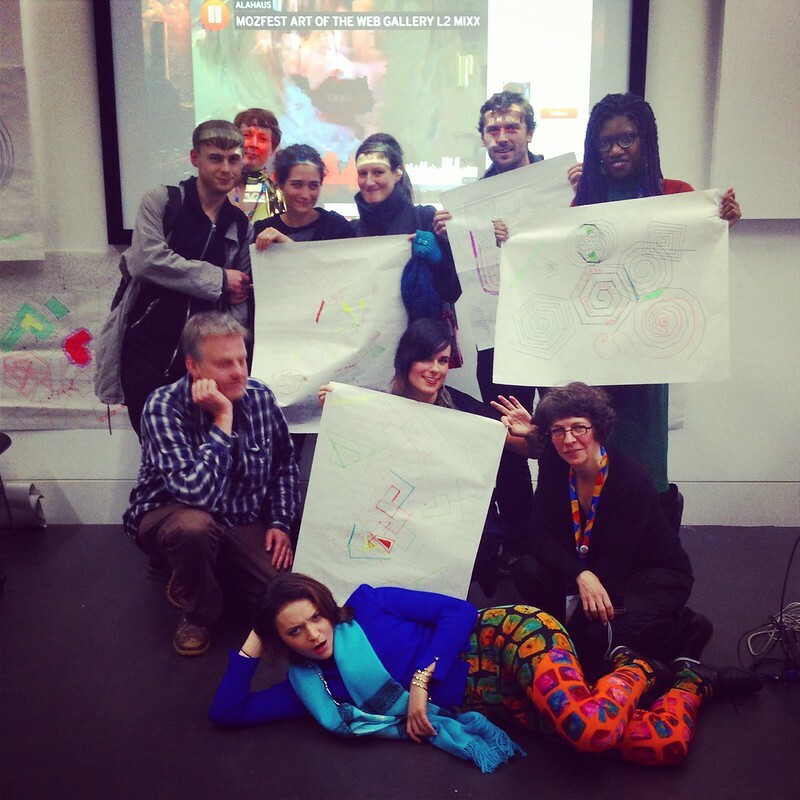 As well pointed by Kat, “let’s (re)make networked art”. We really want to thank and give a huge hug on all people we met. To our dear colleagues of The Grid, that made it possible to happen, thank you for all. To Mozilla, thank you to bring this amazing people together for a better Web of openness and opportunity. Looking forward to keep phreaking art and meet you all again this year! Photos by Kat Braybrooke, Mozilla in Europe and Vilson Vieira.